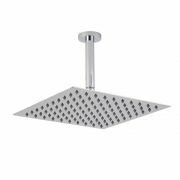 The Milano 300mm square fixed shower head delivers a refreshing rainfall effect that's sure to leave you feeling awake and invigorated. 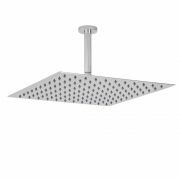 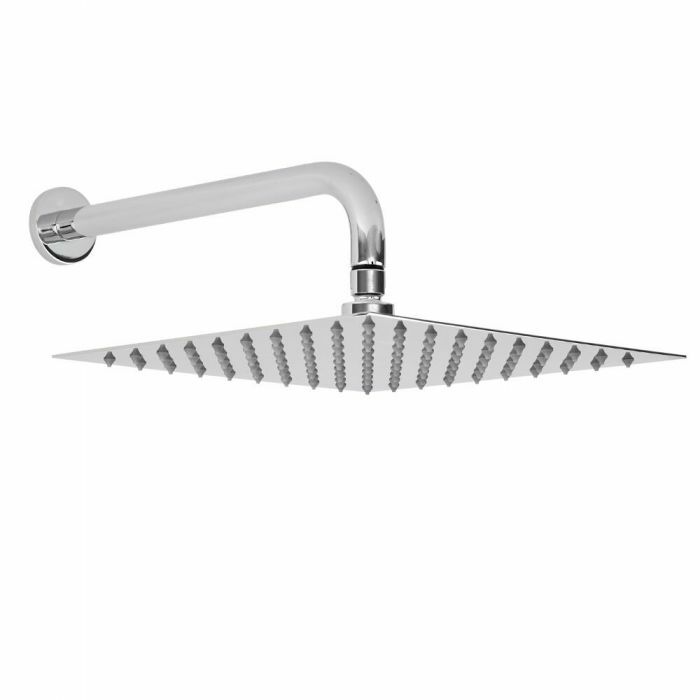 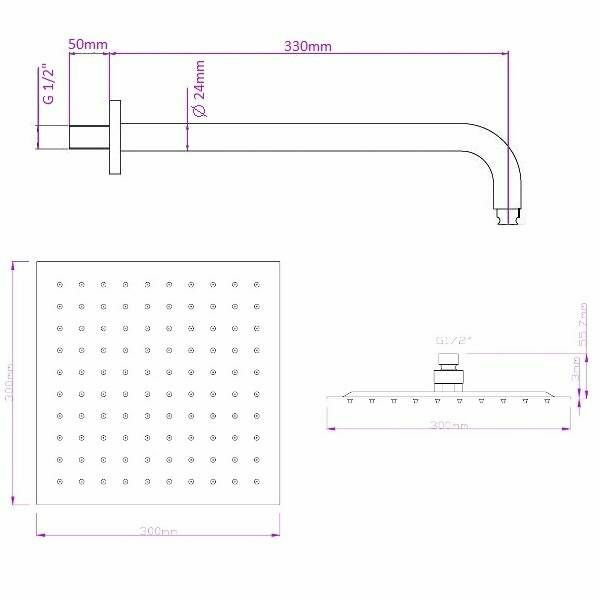 Supplied with the wall mounted arm, the stainless steel fixed shower head is perfect for adding a touch of designer style to any bathroom or en-suite. 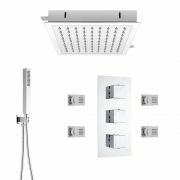 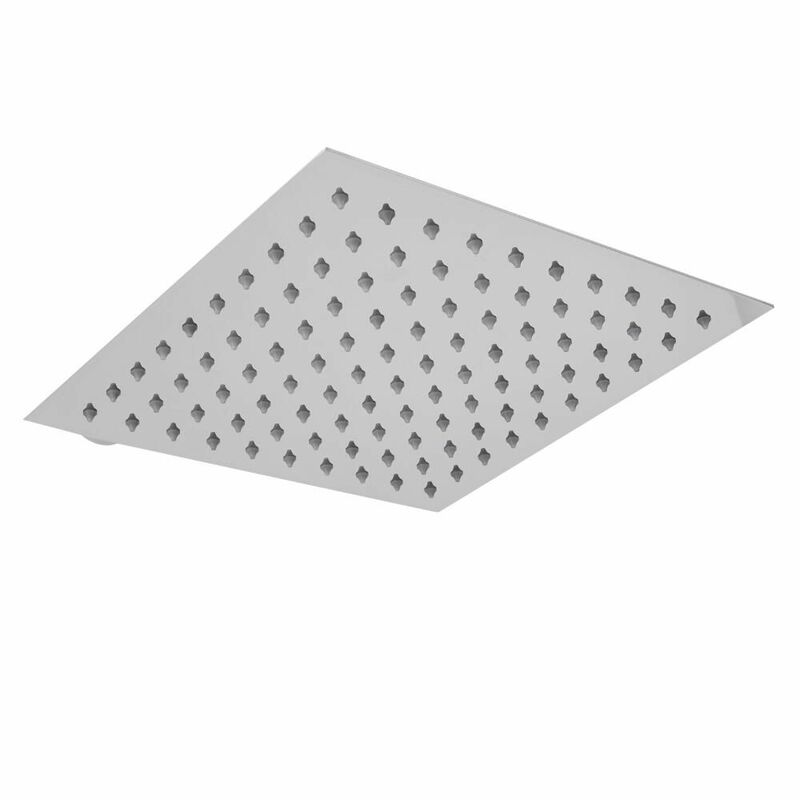 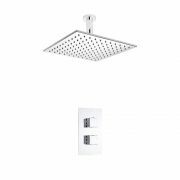 The shower head features easy to clean silicone nozzles and a chrome finish that blends in easily with any decor. Made from solid brass, the wall mounted arm measures 320mm in length.